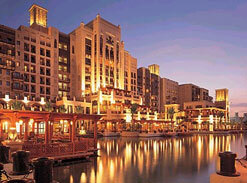 This luxury hotel offers free access to Wild Wadi Park. It features an indoor and outdoor pool, free Wi-Fi, and spa. All rooms come with a balcony.